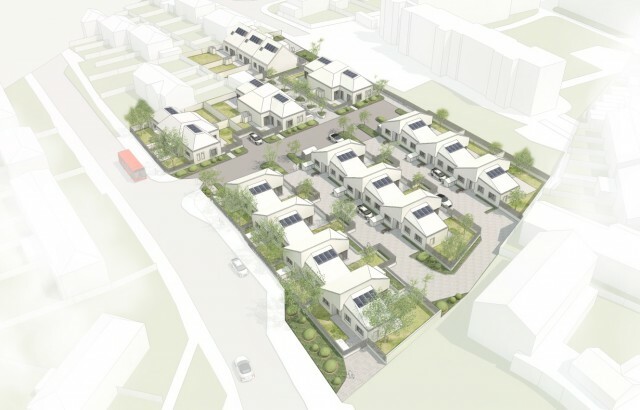 Our latest project to secure planning approval is Albyns Close in Rainham for London Borough of Havering. With fewer people leaving London than ever before, the scheme is being funded by the GLA and developed by the Borough in a bid to encourage elderly locals to downsize and free up larger accommodation in the area. Rather than a traditional sheltered housing scheme, Albyns Close features 19 innovative extra care bungalows carefully designed with the end users in mind. Accessibility is a priority and the cul-de-sac arrangement creates both a visual and physical connection to the extensive private amenity space outside each home.